Casual Beach Living at its Best! 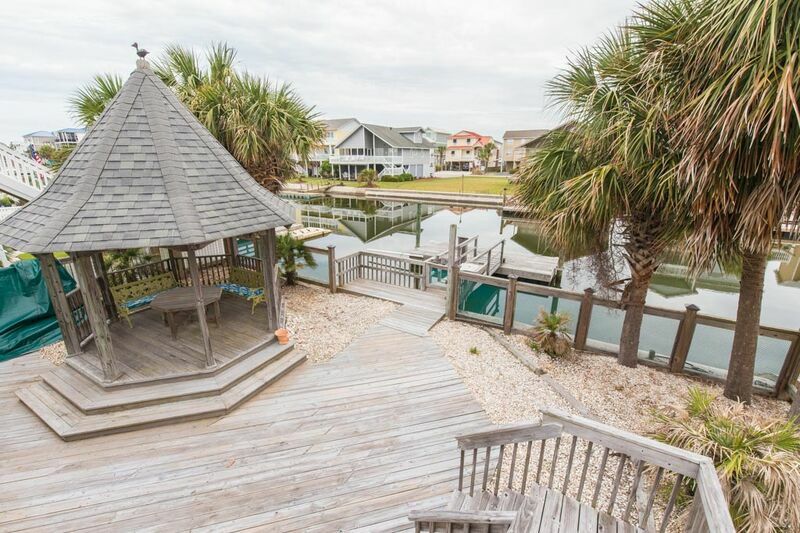 Lots of decking with a nautical theme, large gazebo for shade & sunsets, in ground pool,1/2 bath by Tiki bar, palm trees that make you feel you are on an island all of your own. 2 masters that have Queen size beds, 2 bedrooms with a Jack n Jill bathroom with 2 twins and 1 Queen, the loft area has a TV along with 2 convertible chairs that turn into twin beds, perfect for young children. Bring your xbox games or just watch a movie.